Home The Internet Marketing Wave! We highlight the change in business marketing now as compared to 20-30 years ago when businesses did not have the Internet. The blog focuses on how the Internet has changed marketing for all businesses. Example Ad for The Internet Marketing Wave! This what your The Internet Marketing Wave! Blog Ad will look like to visitors! Of course you will want to use keywords and ad targeting to get the most out of your ad campaign! So purchase an ad space today before there all gone! Subscribe to The Internet Marketing Wave! 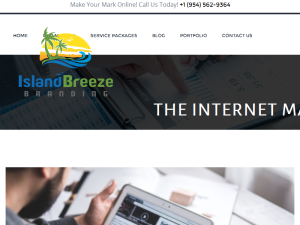 If you are the owner of The Internet Marketing Wave!, or someone who enjoys this blog why not upgrade it to a Featured Listing or Permanent Listing?